Mr. Eduardo J. Alarcon is a seasoned global entrepreneur with senior level corporate experience in several multinational corporations. He is currently active in the entertainment and tech startup sector in Miami, FL, focusing on producing high budget movie projects with Frank Marrero and a team of seasoned film & TV industry veterans, as well in investing and launching tech related startups. Mr. Alarcon is the founder StartupsAgency a marketing & software development agency as well as VP & advisor for Guiltiyspark.ai, an online marketing artificial intelligence platform. Throughout his more than 20 years of professional experience, Mr. Alarcon has closed more than $450 Million dollars in transactions and businesses worldwide. He has founded & sold several businesses, including KarmaBucks a mobile game, Cause Populi, a national marketing agency for non-profits. 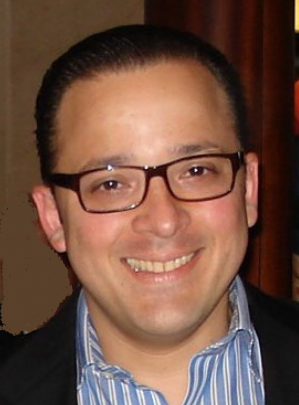 Mr. Alarcon is an expert in Deal Making, Marketing, Global Distribution, Strategic & Change Management. In the corporate world, Mr. Alarcon achieved immense success as Director of Business Development and Vice-President of Global Sales of several multinational corporations, negotiating multi-million distribution contracts and launching new technologies worldwide. Throughout his successful business career, Mr. Alarcon has been involved in several industry sectors including the Technology, Telecommunications, Entertainment, Medical and Consulting Services. As a young entrepreneur in Latin America, Mr. Alarcon created several successful business ventures in the early 90’s focusing in the agro-export industry and the technology sector.